Altenew January 2016 Release, Blog Hop & Giveaway! I’m so excited to be taking part in Altenew’s 2016 January release and blog hop, if you arrived here from Anna Kossakovskaya’s blog you are exactly where you should be. We will be releasing 10 new stamp sets. Unfortunately the two stamp sets that Marika designed won’t be released this month, but we will be releasing them in February. For my first card today I used the fabulous apple from the new Teacher’s Rule stamp set and created a bit of texture by swiping the ink across the stamp and I just love how it turned out (especially with these new specialty papers from Altenew). I got all ‘retro’ with my second card and had the best fun copic colouring these swirls from You Are and popped up a big Super Script sentiment on some kraft and called it done. My final card is truly a CAS design and I thought it would be fun to create a whole set of these using the images and sentiments from Way Too Sweet, they would come together in no time at all! Now, to the good stuff and onto the Prizes and there are two ways to win! To celebrate this release, Altenew is giving away $50 gift certificate to three lucky winners. Please leave a comment on the Altenew blog for your chance to win! You have until Friday January 22nd to leave your comments. Also I will randomly choose a winner from the comments left on this post (only one per person) to win a $30 gift certificate to the Altenew online store, you have until midnight Friday January 22nd (AEST) and I will announce the winner here on my blog. Awesome – Other Supplies: Altenew Stamps – You Are. AC Cardstock – Brown Sugar. Copics – 0. E50,99. Y17,26. BG11. Being so Sweet – Other Supplies Altenew Stamps – Way too Sweet. Prismacolor Pencils – White, Process Red. American Crafts cardstock – Robin’s Egg, Taffy. Inspiration – Altenew Stamps – Teacher’s Rule. Other Supplies: Prismacolor Pencils – Sienna Brown, Crimson Red, Limepeel. Polychromos – Chrome Green Opaque. < Previous Video : Molotow masking at Scrapbook Boutique! Next > Video : Penny Black Cat Love! I love the second card. very unique. wow your cards are always awesome.. thanks for inspiring me.. fun release. I love your cards. That apple is fabulous! What an amazing release. All of your cards are fabulous, but I am terribly impressed with your treatment of the apple. Just gorgeous! All three cards are awesome, Therese, but I adore the “retro” one tremendously! So LOVE this look! And the colours, wow! Therese made some awesome cards to share with us! Love that apple on the birch wood paper. Your cards always have an elegant simplicity about them. Absolutely love what you did with the apple! The apple is outstanding…love the way the colors blended together! The retro card is too cool!! Who wouldn’t like to receive that in the mail ???? I think you are right about the cute “Sweet Treat” card, great card to make in quantity for easy mailing!! Thank YOU!! OMG! Your cards are so fantastic. Love the layout and colors used. Your cards are always SO creative and SO perfectly executed, Therese. I love the coloring on the apple and the retro design is really fun. These cards are truly unique and inspiring in so many ways. Love each one and that apple truly looks good enough to eat! Love your samples made with this awesome release! The apple looks fantastic with that swiping technique and the wood behind it! Wonderful cards. I love the apple and the wood paper. Thank you for sharing. Your sense of color and design make for beautiful cards. Altenew always offers such beautiful stamps to work with! the coloring on your apple card is brilliant – love it! Fantastic card designs, beautifully crafted!! Love all three cards, Therese! Elegant, bold and cute! I thought you added some pencil touches on the apple! The swiping of the ink pad made really gorgeous texture here! I should try it! Thanks for sharing! Wow! Blown away by your fabulous inspiration! Wonderful cards Therese! The apple is awesome. Is it going to Marika? Wow! I love all three cards but the first two the most. Thanks for the inspiration! I love all your cards! Beautiful!! Nice cards as always. Thanks for the consultation. Can’t wait for the release. As always, I’m inspired by your ideas, your use of color, and your unique style. Beautiful cards! Thanks for the inspiration!! The apple card with that wood paper is amazing. I like the brush lettering on the other card too. Thanks for sharing your lovely cards. Wow! The texture and detail on the apple is fabulous!! Gorgeous cards!! Love looking at your fun techniques!!! Therese, you truly are a master of the CAS card. All of these are fantastic. I wish I had your eye! They are all super cute! I admire a CAS card as well done as yours! What sweet stamping, Therese. The apple is amazing and the others are the cutest. Awesome showcase. Wow, I am awed by your apple card – fabulous! GREAT cards truly…..loving the design on your Kraft one, wow! Your first card has lovely colors and great design. Your second card is just too darn cute! Your You Tube channel is just plain wonderful!!! love your cards. the Apple colored so details! Love your mini cupcake card. Sweet! I love the crisp, clean look each of these cards has. The texture you added to the apple is beautiful! And the colorful, retro design is so much fun! My goodness your apple card looks real enough to eat. Your talent continues to mesmerize me. Wow…that apple is incredible…the brush strokes really set it apart! All your designs are outstanding and totally inspiring! Great cards! The apple looks so real! All adorable, but that apple has caught my eye … you’ve done marvelous things with this wood veneer paper! All three cards are great. But i’d pick the retro one as show-stopper. What a tremendous card. Very clever of you. Wow, love the design of your apple card and all the great texture! The apple looks stunning! Great job on the coloring! Fabulous. Each card is so fresh and innovative. LOVED that apple…it’s perfect. And the retro card…wow…brings back memories (think I had a Harvest Gold refridgerator that would look good with that print you expertly colored). The clean and simple cupcake…who could resist that. Wow, the apple is amazing!! And the retro card is so eye-catching! I haven’t cared for the apple stamp at all, until I saw your card. Beautiful technique and love the simplicity. Also like that retro card – it just makes the word “Groovy” pop into my head! Потрясающие открытки, а яблоко- как натуральное, так и хотелось потрогать! The apple looks like it’s drawn with pencils, beautiful work. Three fabulous cards but your apple card is definitely a stand out! Love how the swiped ink gave it a textured look. Love all the different creative elements in each card. Thank you! Congratulations Therese on your three awesome cards for this blog hop! Your unique style shines through in each of them – all truly inspiring! Therese you really can turn your hand to any style of card as evidenced by these three. although I,love the apple, the retro one is very striking. Thanks for all the inspiration. Love your cards. Thanks for the give away. Your cards are all terrific, but what a clever idea to swipe the pad across the stamp to get the streaks in the first one – a great technique! Great cards. Especially like the “awesome” one. WOW the color on the apple is just amazing and the retro one beautiful! Your card creations are so unique and very creative…thanks for sharing your talent! Fabulous cards. I really like the coloring technique on the apple. Love that super script set. Thanks for introducing us to it. Also love the fold on the card. Super!!!! Three totally different cards! I love the coloring on the apple. I would love more detail on how you achieved this look. So 3-D!! Love the way you used these stamps!! Really like the apple card and the papers you used with it. Will need to check out the products you used. Thanks for a lovely sight! Your “swiped” apple is the coolest thing. I love the whole card. Colors, design, textures!! All of your cards are outstanding. Thanks so much. Oh my!! I LOVE your cards. However, I LOVE that fun swiping technique. It looks SO COOL!!! I also like the third card with the CAS design. It was in two of my favorite colors. Your layouts are wonderful. Especially love your first card! Three fantastic cards! Thanks for sharing! I love you pink and aqua cupcake card!! Wonderful cards! I love the colors and the layout of them also! So pretty! The apple card is my favorite. Love the technique you used. Love the beautiful shading on your apple/peach! Oh my goodness, Therese…You have really out-done yourself today! Your cupcake is darling, and I love how you added the sentiment on your retro card! And, your apple ~ WOW! What a great idea to swipe your inks to create all that gorgeous texture! 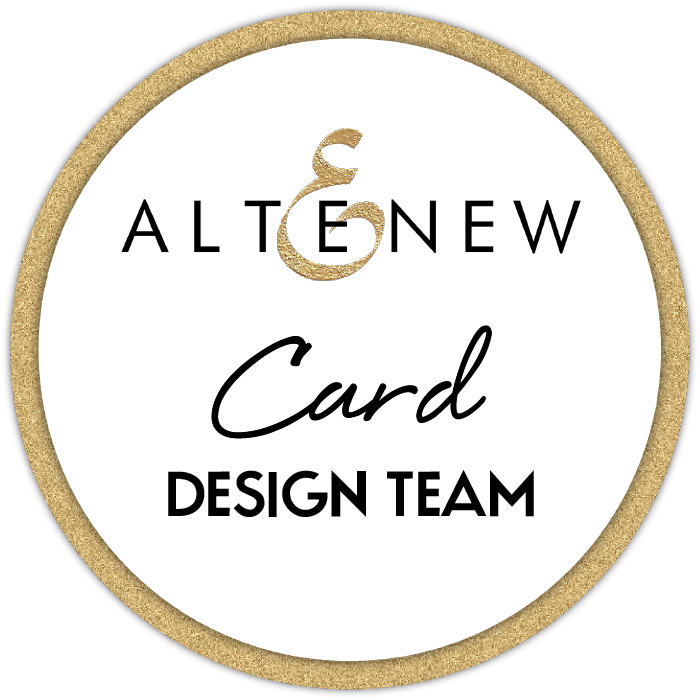 I’m so glad you’re part of the Altenew team…your cards are gorgeous!!! I really like the apple card and the retro card. Very unique designs – very eye-catching! Therese you are so talented!! You really did something different with all of these sets- I think the last one is my favourite – the colours are totally yummy but i do love the style of the retro one too! Gorgeous cards. Love the swiping on the apple and the fun simplicity of the cupcake. Love your cards! The apple card with the swooped ink is gorgeous! Wow! I loved all these cards. You need to do a video of how you did the apple one. It is amazing and creative and I love that paper. Wow, your cards are amazing! I love all of the details, colors and layering. Thanks for sharing. The coloring on that apple is stunning! Beautiful cards! Love all your cards. The apple is fantastic. All these cards are so beautiful! Love the CAS designs, the ink swiping and the coloring on the You Are card is amazing! Fabulous designs. Love what you did with the apple. Wow what an awesome trio – the teacher in me is really taken with that apple card – the swiped texture you’ve achieved looks really great Therese. Plus I love the design of it and those great new papers look fab. All three cards are awesome but I particularly like the retro one. Great to see your work being showcased across the globe! Wow some really awesome cards! Well done! Whoa…love the apple…love the retro…that is truly ingenious! Love your cards and the colour combniations are great. Very creative. love your cards so much ! Love, love your apple ! Lovely cards Therese, especially the cool design of the apple one and the fun funky feel of the retro one. Love the way you coloured the apple. The ink swiping on the apples image looks awesome! It looks too amazing to have been so simple… 🙂 Love the funky retro card and that little cupcake looks perfect on the turquoise paper! This apple looks AMAZING!!!!! Love that card! And the whimsical one has got such amazing colors! 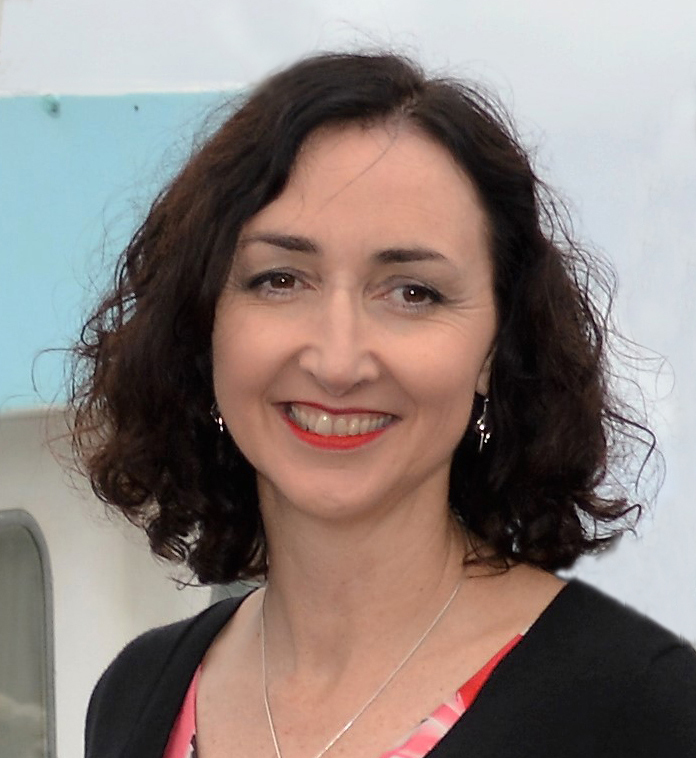 WOW – your cards are ABSOLUTELY FABULOUS Therese!!! Your cupcake card is SO CUTE, your swirly card SO GROOVY and as for your apple – WOW – it is a piece of ART – LOVE IT!!! Fabulously done, Therese. I love the realistic look to the apple. But it’s your groovy “awesome” colors that really caught my attention. Love the texture that you created on the apple image! Your Copic colouring skills and choice of the colours truly have a retro feel and the sweet cupcake is a happy one! I especially like the coloring of your apple and the fun layout of the Awesome card!! That apple is just stunning! Love your coloring too! Awesome cards! I love the ink swiping on the apple image—it’s amazing!! And the retro colors on the second card are super fun!!! Altenew is such a great brand! Now you are designing for them I love it even more. Great cards, all very “Therese”! Such cute and creative cards! Great cards–love both of them!!!!!!! Your cards are really, really awesome! Totally love this release. Therese, what fabulous cards. I love the apple on the wood paper. The retro card is my favorite; love the colors and the very original design. Amazing cards! I just love how you’ve done the apple, and the diagonal lines are brilliant. Great cards. I do love that swiping effect of the apple, great texture. Awesome cards…the apple looks amazing and the retro card caught my eye with the great design. I have to pull out my colored pencils right now! What a lovely first card, and your second is a lot of fun. I love the way you colored the apple, Therese, and that background paper is fabulous. Adult coloring is so “in” right now and that’s the perfect stamp for it on the second card. The little cake on the third one is darling and would be great for valentines. Amazing cards Therese. That apple looks so real! Great coloring technique. The retro look is perfect! So cool! That apple card is utterly fabulous! Such talent–it looks so real! Thanks for sharing your skills with us! Those are the best cards Therese. Loved the texture on first one ,interesting design on second one and fab colors on third ! All of them look amazing ! Love all your designs, especially the shading on your apple. Swiping the ink is so unique! Lovely cards…Texture on apple is such fab. Pretty cards made! Love it all! Beautiful designs, using Altenew’s new stamp releases! Beautiful cards!! Thanks for the giveaway. Your cards are so pretty. The tourquios one and the apple one are my favorite. The apple one reminds me of an old masters painting. Such clever use of ink. Oh wow! That apple looks amazing! I just love the texture. Great color choices on the second one too! Just beautiful work! You are an artist! You have such a great style with your artwork! Thank you for sharing. Nice work on the apple! Absolutely loved all three, esp Teacher’s rule, the design and sentiment goes so well with the theme! Beautiful! I absolutely adore the apple card! What a nice price to win! I cross my fingers that I’ll be one of the lucky ones! Beautiful cards!! I love how you stamped the apple, it looks so 3-dimensional! The little cupcake card is so adorable. That Apple looks good enough to eat! Perfect… you’re cards are perfect! Fun cards. That apple worked a treat! Fantastic cards!! Your coloring is Amazing!! Lovely cards. Love the way you colored the apple. Wow, what great shading on the apple! I’m just starting & admire your creativity. Thanks for sharing.